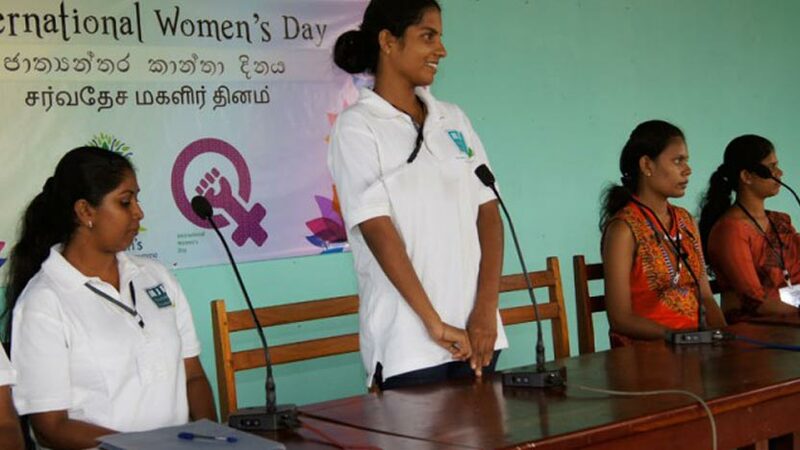 On Saturday, 8 March 2014, a large audience comprising mostly women, involved in the MJF Charitable Foundation’s activities across Sri Lanka, gathered at the MJF Centre in Moratuwa to celebrate International Women’s Day. 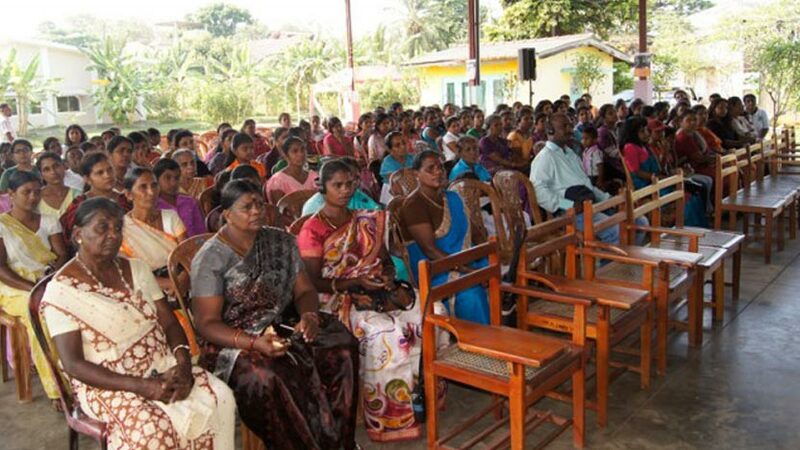 With representations from Ampara, the tea plantations community, Moneragala, Point Pedro, Siyambalanduwa, Peliyagoda and Moratuwa, the variety of the crowd and the thoughts voiced and debated on proved to be an enriching experience for everyone involved. 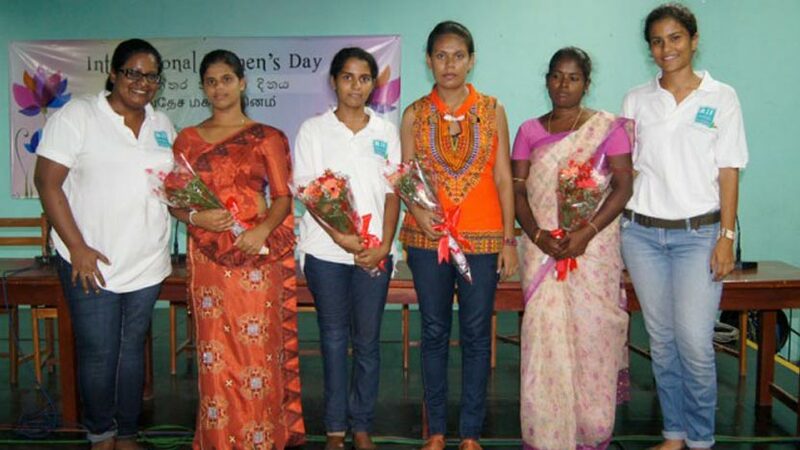 Five women speakers who were connected to the Foundation, either as beneficiaries or staff, all of whom had faced various challenges in life were present at the event. 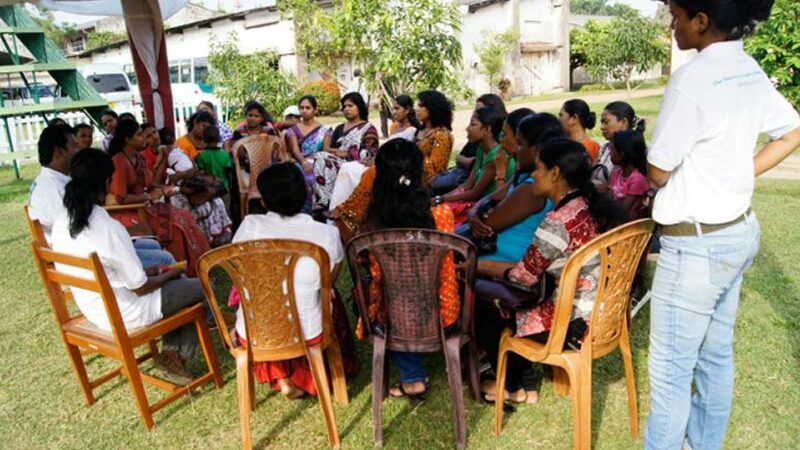 This group of inspiring women included Charmili – a working mother of a special needs child, Subhani – a teacher, an athlete and a differently-abled youth, Nirmani – a Youth Parliamentarian from a disadvantaged background, Manori a hard working community organiser and leader from Siyambalanduwa in Monaragala, one of the most impoverished districts of Sri Lanka, and Sivojini – a war-affected widow who aspires to constantly do more for her family and her community. From the story of a mother who fought with the medical system to gain her child a life-saving surgery, to the young woman who lost her husband while pregnant with their second child – their stories brought tears and perspective to the listeners, changing the way they looked at their own lives. “Today, I have made five new children from these speakers: listening to your stories made me cry but I’m happy about this because now I have had the opportunity to understand the variety of challenges you have faced. As women, if we have no support for our problems, then we must come together and fight for what we need,” audience member Theresaama, from the Dikoya Estate, said. The event offered the audience the chance to discuss the stories of these women in small private groups that created a sense of belonging and confidence. The theme of the celebrations also sought to identify resilience and strength in women from amongst the women of our own communities. In the final discussion segment that included all the participants and speakers, an exchange of views from all the community representatives were shared. The one common theme their comments shared was that they had met new daughters and sisters today and they would take their stories and messages back to their communities and spread this message of strength in the face of whatever adversity life may bring. The audience, both staff and beneficiaries alike, listened to the inspiring stories of these local heroines and returned home with the understanding that we are, all of us, blessed and we have the power to change our lives and our communities for the better. The event ended with a challenge to each group to create a women’s organization in their own communities and to identify and resolve problems that their own communities are faced with.